Take a guided hike with one of our experienced local guides. 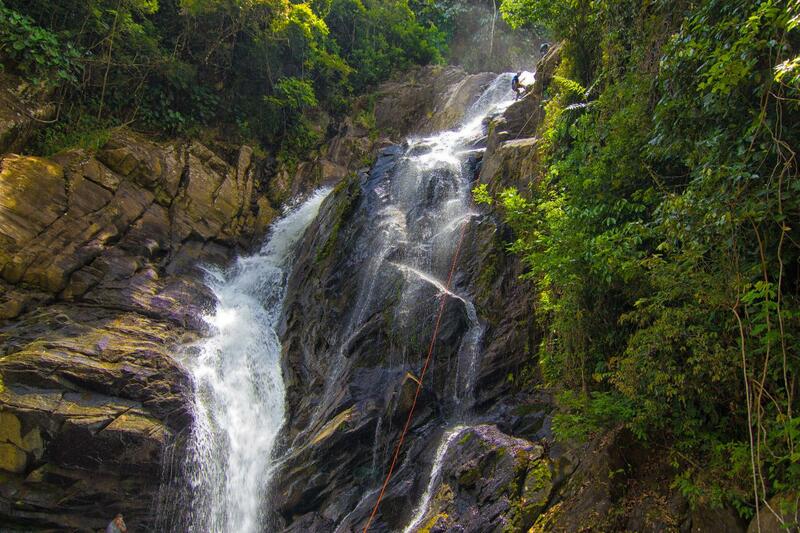 Climb to the top of the 1,000 foot falls through lush rainforest learning about jungle flora and fauna. Learn interesting facts about the plants, trees, birds, and creatures that call the jungle their home. 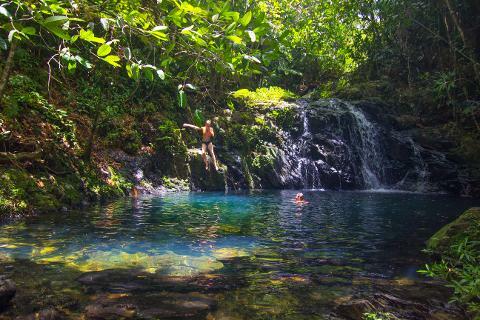 End the challenging hike to the top with a refreshing swim in the emerald pools and take in the breathtaking views of the Tropical Rain Forest &amp; Caribbean Sea. This really is a magical tour to remember. The tour takes approximately 3-4 hours* to complete. Recommendations: Bring bug repellent, long pants, t-shirt, bathing suit, sneakers. 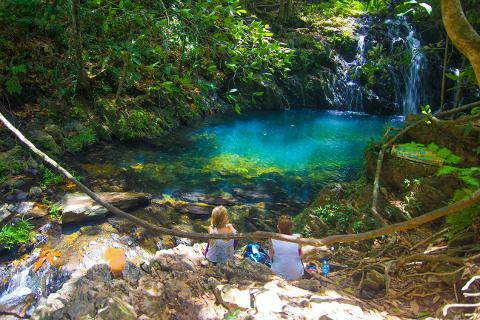 You should be fit enough for the 1½ hour* hike to the top of the falls.